Moments ago saw director J.J. Abrams, LucasFilm president Kathleen Kennedy and the cast reveal the first footage, trailer and official title with Star Wars: The Rise of Skywalker, but a big surprise was learned that The Emperor returns as Ian McDiarmid took to the stage. 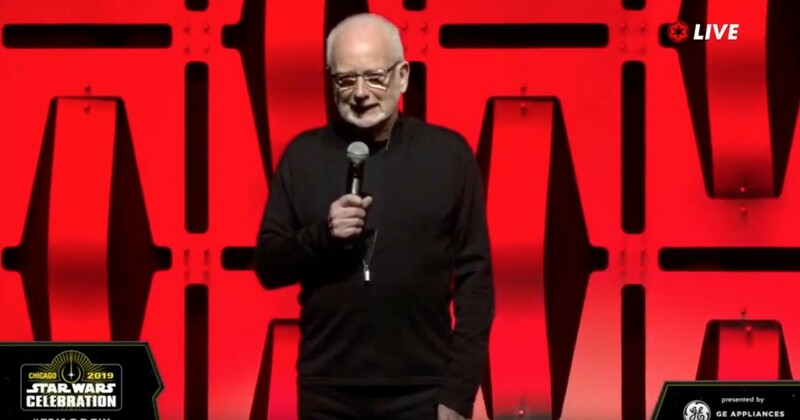 Following the release of the trailer, Ian McDiarmid took to the stage to replay the trailer for a second time, with users on social media confirming the return of The Emperor. "Emperor Palpatine returns for Star Wars #EpisodeIX The Rise of Skywalker! Ian McDiarmid takes the stage at #StarWarsCelebration," Rotten Tomatoes tweeted. The Star Wars: The Rise of Skywalker actually ends with The Emperor laughing so it seems as if may have been behind things all along. Maybe Snoke is actually The Emperor? Or something else is really taking place? Star Wars: The Rise of Skywalker has a December 20, 2019 release. Watch the trailer below!